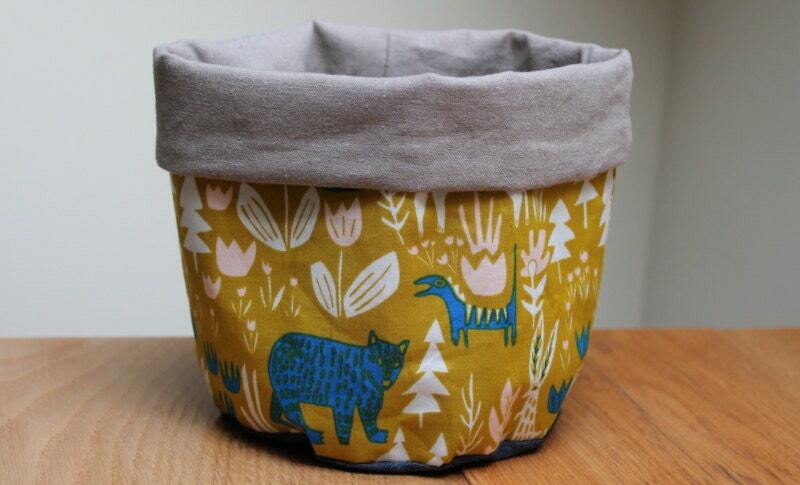 I’ve been making a few projects from Sewing Happiness by Sanae Ishida this month. A while ago, I volunteered as a pattern tester and Sanae very kindly sent me a copy when it was published. As well as a book of projects, Sewing Happiness is part memoir, and account of how Sanae came to sewing. Like Sanae, I’m a huge fan of enjoying ‘the practice’ and doing something regularly to get better at it. Without pressure, but also wanting to improve. Last year I took part in the 100 Day Project. Every day for 100 days I cooked a new (to me) recipe. And guess what – I got better at cooking. I’m more confident, more able to substitute ingredients, more willing to give a new technique a go. Some days were more successful than others, but it was always edible! Sanae’s experience of sewing sounds very similar. I also like her take on using social media “There is an overarching sense of terror about creating something that didn’t exist befoe and putting it out into the world for judgment, but when you do it repeatedly, the confidence muscle strengthens”. I’ve made four of the projects from the book so far. The fabric origimi butterfly above is for a tooth fairy pillow. There is a little pocket formed by the wing folds. It took me a little while to get the folds right, but I’m delighted with the result. It is so pretty and delicate. Then I made a fabric bucket to hold bottles in the bathroom. The blue triangle bag was my tester pattern and is another project that uses origami folds. I especially like the strip of contrasting fabric used as the handle. The infinity scarf is made from double gauze – melissa makes made me one as a gift, and I’ve since made several for friends inspired by her use of contrasting fabrics. It’s unusual for me to try so many ideas from one book. The projects are straightforward, but have some interesting and unusual techniques too, and they are perfect for showing off special fabric. 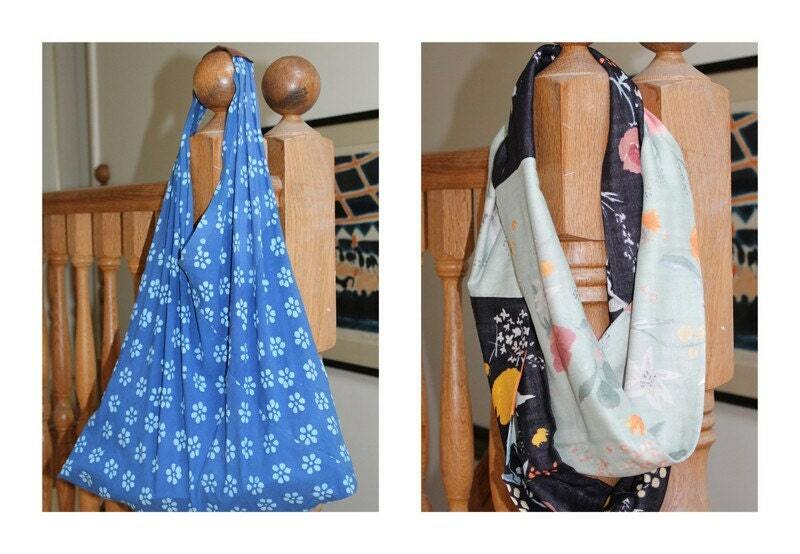 Is still want to make some aprons, a dopp kit and try some sashiko. And surely there is room for a floral crown in my life?! If you want to make beautiful presents which don’t take forever, it is a wonderful book to have.